The Beachside Tennis villas are one and two bedroom high rise villas that offer an onsite pool for guests to enjoy. With easy beach access and just steps away is the South Beach Marina village with all of its amenities. This quaint New England styled marina offers shopping, dining and water sports in can you are looking for a little more excitement. Building sandcastles and long walks on the beach are just around the corner when you stay at the Beachside Tennis villas. 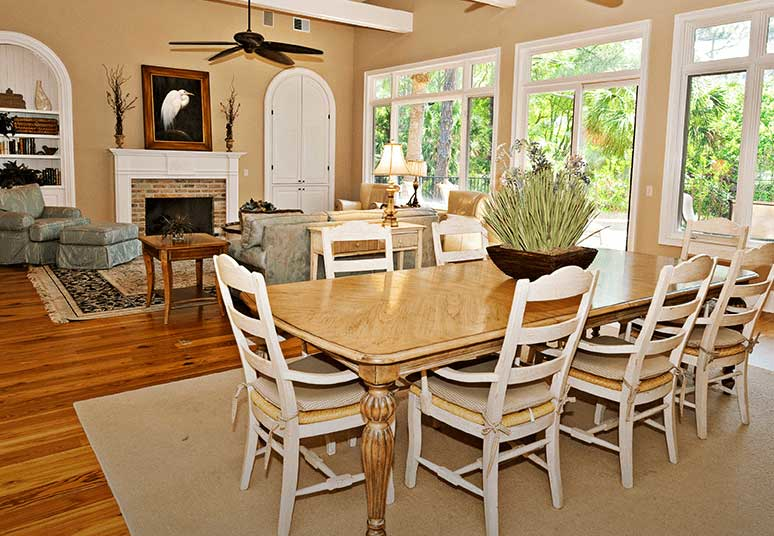 Our Bluff Villas are located in quaint the South Beach area of The Sea Pines Resort. These comfortable one, two and three bedroom high rise townhouses have beach access across the street and are only a short walk from the beach. Guests staying in the Bluff Villas have access to the South Beach Marina pool and are adjacent to the South Beach Marina Village which has fantastic restaurants and shops as well as water sport activities. The Sea Crest offers one, two and three bedroom oceanfront high-rise villas. Located directly on the ocean, with Oceanfront, Oceanside and resort views the Sea Crest is a perfect retreat for beachgoers. The Sea Crest offers covered parking and direct beach access. Guests enjoy two on-site swimming pools, fitness center, and a poolside sundeck overlooking the ocean. Turtle Lane offers three bedroom one-story townhouses near The Sea Pines Beach Club. Perfect for guests who want to spend their time at the beach, but would also like to have easy access to refreshments. 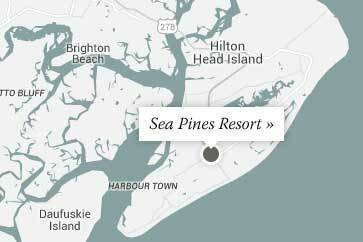 The Sea Pines Beach Club also offers Craft Cove in the summer where children can explore their creative side and participate in various arts and crafts activities. Guests staying at Turtle Lane also enjoy an on-site pool. The South Beach Club Villas are two and three bedroom high-rise villas located just a short walk from South Beach Marina where shopping, dining, and water sports are offered. The beach access is also just a short distance away. South Beach Club Villas have their own community pool onsite for guest use. The villas offer panoramic ocean and sound views. The North Shore villas are two and three bedroom high rise villas. Located in North Forest Beach, the North Shore villas are less than one block from the Atlantic Ocean. Guests staying at the North Shore villas will enjoy and onsite community pool and an easy beach access path just across the street. Head to the beach and enjoy the day in the sun and sand with your family or rent a bike and enjoy a bike ride down the beach. The Fairway One townhouses offer three bedroom accommodations conveniently located across from The Sea Pines Beach Club. The Sea Pines Beach Club is the ideal location for families who intend to spend a lot of time on the beach and also want to be able to have lunch, ice cream and refreshments or even a cocktail. The Fairway One villas overlook the Atlantic Dunes By Davis Love Ⅲ and offer great golf and lagoon views. 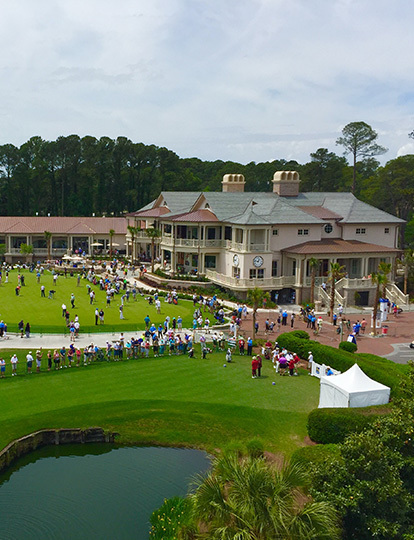 Atlantic Dunes By Davis Love Ⅲ and Heron Point by Pete Dye are also within walking distance making Fairway One a great location for golfers and families! The Port Villas are two bedroom townhouses with water views of Braddock Cove. There is an easy beach access path across the street for when you are ready to head to the beach to collect shells, look for dolphins, ride bikes or just relax. Guests staying in the Port Villas have access to the South Beach Marina pool. The South Beach Marina is just steps away and is the perfect destination for casual dining and shopping after a long day in the sun. There are also water sports available at the marina including jet skiing. The Lagoon Villas are single-level, three bedroom townhouses located in the South Beach area of The Sea Pines Resort which is a short distance from the beach with an access path located across the street from the complex. Guests staying in the Lagoon Villas have use of the South Beach Marina pool. 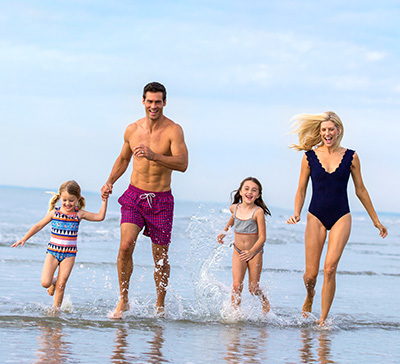 With scenic lagoon views and an easy walk from the South Beach Marina, shopping, dining, kayaking, fishing and crabbing are all available, Lagoon Villas provide the perfect retreat for the active family. These three-story, four bedroom townhouses offer outstanding views of Calibogue Sound and Daufuskie Island. Sound Villas have access to an onsite community pool and are just a short walk from the South Beach Marina where you can stroll along the docks and breathe in the fresh salt air. South Beach Marina is the place to go to enjoy open-air dining and entertainment, sample fresh-from-the-docks seafood and browse through charming shops. Water sports of all kinds are available here. Sound Villas also have beach access just steps away. Atlantic Dunes By Davis Love III Villas are two bedroom single floor villas with golf and lagoon views of the Atlantic Dunes By Davis Love III. 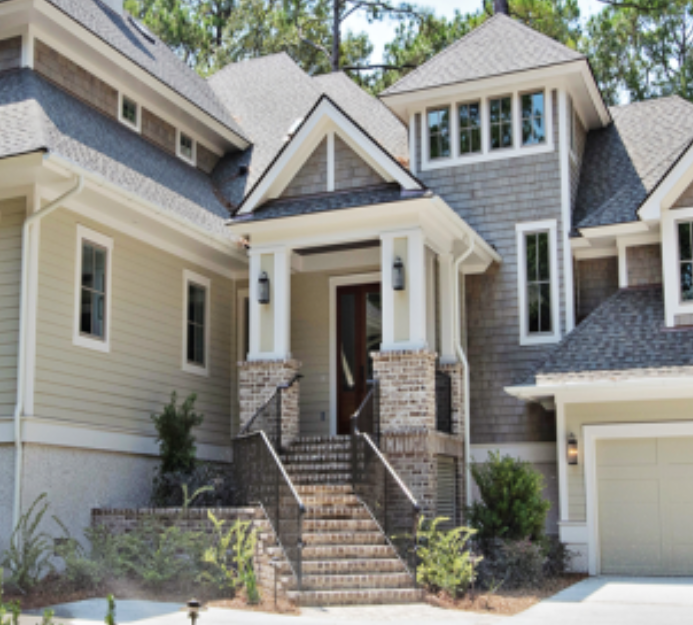 Across the street from the The Sea Pines Beach Club and adjacent to Atlantic Dunes By Davis Love Ⅲ and Heron Point by Pete Dye Clubhouse, this is the perfect location for those who want both the beach and golf just steps away.